Office of Postsecondary Education, Department of Education. The Secretary proposes to create Institutional Accountability regulations that would amend the regulations governing the William D. Ford Federal Direct Loan (Direct Loan) Program to establish a Federal standard for evaluating and a process for adjudicating borrower defenses to repayment for loans first disbursed on or after July 1, 2019, and provide for actions the Secretary may take to collect from schools financial losses due to successful borrower defense to repayment discharges. The Secretary also proposes to withdraw (i.e. rescind) certain amendments to the regulations already published but not yet effective. We must receive your comments on or before August 30, 2018. If you are submitting comments electronically, we strongly encourage you to submit any comments or attachments in Microsoft Word format. If you must submit a comment in Adobe Portable Document Format (PDF), we strongly encourage you to convert the PDF to print-to-PDF format or to use some other commonly used searchable text format. Please do not submit the PDF in a scanned format. Using a print-to-PDF format allows the Department to electronically search and copy certain portions of your submissions. Postal Mail, Commercial Delivery, or Hand Delivery: The Department strongly encourages commenters to submit their comments electronically. However, if you mail or deliver your comments about the proposed regulations, address them to Jean-Didier Gaina, U.S. Department of Education, 400 Maryland Ave. SW, Mail Stop 294-20, Washington, DC 20202. Privacy Note: The Department’s policy is to make comments received from members of the public available for public viewing on the Federal eRulemaking Portal at www.regulations.gov. Therefore, commenters should be careful to include in their comments only information that they wish to make publicly available. For further information related to Borrower Defenses to Repayment, Pre-dispute Arbitration Agreements, Internal Dispute Processes, and Guaranty Agency Fees, Barbara Hoblitzell at (202) 453-7583 or by email at: Barbara.Hoblitzell@ed.govor Annmarie Weisman at (202) 453-6712 or by email at: Annmarie.Weisman@ed.gov. For information related to False Certification Loan Discharge, and Closed School Loan Discharge, Brian Smith at (202) 453-7440 or by email at: Brian.Smith@ed.gov. For information regarding Financial Responsibility and Institutional Accountability, John Kolotos at (202) 453-7646 or by email at: John.Kolotos@ed.gov. For information regarding Recalculation of Subsidized Usage Periods and Interest Accrual, Ian Foss at (202) 377-3681 or by email at: Ian.Foss@ed.gov. If you use a telecommunications device for the deaf (TDD) or a text telephone (TTY), call the Federal Relay Service (FRS), toll free, at (800) 877-8339. On November 1, 2016, the Department published final regulations (81 FR 75926) (the 2016 final regulations) on the topic of borrower defenses to repayment. The 2016 final regulations were developed following negotiated rulemaking and after receiving and considering public comments on a notice of proposed rulemaking. Certain provisions of the 2016 final regulations have been delayed until July 1, 2019 (83 FR 6458). Most of all, to ensure that millions of American students and borrowers are provided with accurate information to inform their enrollment decisions and to ensure that students are not subjected to narrowed educational options as a result of unwarranted school closures. The goal of the Department is to enable students to make informed decisions on the front end of college enrollment, rather than to grant them financial remedies after-the-fact when lost time cannot be recouped and new educational opportunities may be sparse. Postsecondary students are adults who can be reasonably expected to make informed decisions and who must take personal accountability for the decisions they make. Institutions are prohibited from misleading students by providing false or incomplete information, and remedies should be provided to a student when misrepresentation on the part of an institution causes financial harm to that student. Regardless, students have a responsibility when enrolling at an institution or taking student loans to be sure they have explored their options carefully and weighed the available information to make an informed choice. The Department has an obligation to enforce the Master Promissory Note, which makes clear that students are not relieved of their repayment obligations if later they regret the choices they made. Through these proposed regulations, the Department is considering whether to reaffirm the Department’s original interpretation of the statute, which persisted for 20 years and provided borrowers an opportunity to raise defenses to the repayment of Direct Loans only in response to collection actions by the Department, or to continue with the Department’s 2015 interpretation, which allowed borrowers to raise defenses to repayment in affirmative claims. The Department adopted that interpretation in response to advocacy efforts on behalf of student borrowers who had attended institutions owned by Corinthian Colleges, Inc., but without negotiated rulemaking. This new interpretation to allow affirmative claims was codified in the Department’s 2016 final regulations. The 2015 reinterpretation was designed to expand loan forgiveness for borrowers who had attended Corinthian institutions, which, following a sequence of events, closed precipitously after the Department placed the institutions on HCM1 status and added a delay in title IV reimbursement that is typically not associated with HCM1. The Department’s closed school loan discharge regulations provide that a student who was attending a school at the time of its closure, who did not complete his or her program of study prior to the school’s closure, and who meets other criteria may receive a discharge of Federal student loans obtained for the student’s enrollment at the institution. 34 CFR 674.33, 682.402, and 685.214. But the Department wished to extend loan forgiveness to borrowers who may not have qualified for this closed school loan discharge, so it created new policies for accepting affirmative claims. The Department’s experience with these affirmative claims has informed this NPRM. That experience has led the Department to realize that a clear Federal standard is required in order to adjudicate borrower defense claims in a fair and equitable manner. The Department has also heard concerns during the process about the Department’s statutory authority to adjudicate these claims in an affirmative posture and about whether the process for adjudicating these claims appropriately balances the competing interests of borrowers, institutions, and taxpayers. Among other issues enumerated throughout this document, the Department is concerned that a process that allows for borrowers to submit affirmative claims, where there are minimal consequences for submitting an unjustified claim, could potentially create improper incentives for borrowers with unsubstantiated allegations against schools to seek loan discharges. For example, a borrower may attempt to seek loan forgiveness simply because he or she is dissatisfied with the education received or with his or her ability to get a particular job, rather than as a result of a misrepresentation by the institution. This situation could easily increase the burden on the Department of identifying legitimate claims among those that do not meet the defense to repayment standard. And with nothing to lose by submitting a claim, a borrower could be tempted to submit a claim whether or not he or she has been harmed. The Department does not have sufficient information to determine the extent of this potential incentive effect. As of January 2018, it had received 138,989 claims, of which 23 percent had been processed, and only 2 percent of the processed claims were associated with schools other than Corinthian and ITT, but that targeted rather than random sample is insufficiently representative to support conclusions on the issue at this point. In any case, an influx of affirmative claims could itself cause harm to borrowers. For example, even if the Department can accurately distinguish between genuine and frivolous claims, the time it takes to do so may prolong the time it takes to provide relief to deserving borrowers. And borrowers not entitled to relief may find themselves worse off if they receive a forbearance while the claim was being processed, because interest would accrue and increase the amount the borrower would be required to repay when the loan reenters repayment. In addition, the Department is concerned that several features of the 2016 final regulations might have put the Department in the untenable position of forgiving billions of dollars of Federal student loans based on potentially unfounded accusations. Specifically, those regulations would allow the Department to afford relief to borrowers without providing an opportunity for institutions to adequately tell their side of the story. And they would allow the Department to afford relief to entire groups of borrowers, including those who did not apply for relief or who were potentially not harmed by the institution. However, despite these concerns, the Department is considering the continuation of its current practice of accepting affirmative claims from borrowers not in a collections status. A policy that limits borrower defense eligibility to defensive claims may have the unintended effect of treating borrowers harmed by a misrepresentation who default on their loans better than other defrauded borrowers who stay out of default by responsibly enrolling in income-driven repayment plans and making payments on their loan. In addition, lessons learned from the recent mortgage crisis raise concerns that limiting borrower defense eligibility to defensive claims could lead some relief-seeking borrowers to strategically default. Researchers observed similar strategic behavior by homeowners in response to a 2008 mortgage modification program offered by a large financial institution to borrowers who were at least sixty days delinquent. The study found that the program’s structure, which relied on the borrower’s repayment status, yielded a thirteen percent increase in the probability of that financial institution’s borrowers rolling over from current to delinquent status—evidence of strategic behavior by borrowers aiming to take advantage of mortgage modifications. A Start Printed Page 37244similar behavioral response from relief-seeking borrowers choosing to enter default could result in a range of troubling unintended consequences, including damage to borrower credit scores, increased default collection costs for taxpayers, and increases to institutional cohort default rates. The Department is trying very carefully to balance relief for borrowers who have been harmed by acts of institutional wrongdoing, with its obligation to the taxpayer to provide reliable stewardship of Federal dollars. With more than a trillion dollars in outstanding student loans, the Department must uphold its fiduciary responsibilities and exercise caution in forgiving student loans to ensure that it does not create an existential threat to a program that lacks typical credit and underwriting standards. With so much at stake for all parties, it seems reasonable that consumer complaints should continue to be adjudicated through existing legal channels that put experienced judges or arbitrators in the position of weighing the evidence and rendering an impartial decision. Significant reputational damage could be done to an institution from an affirmative borrower defense claim long before an institution is given an opportunity to contest that claim in a recoupment proceeding. Such damage could weaken or even force institutions to close, regardless of the truth, extent, or other circumstances surrounding the unverified claims. And if the institution prevails in a recoupment proceeding, it is the taxpayer who is left responsible for the claims the Department approved in error. These concerns have led the Department to reconsider and seek public comment on whether it should reaffirm the Department’s original interpretation of the statute, which provided borrowers an opportunity to raise defenses to the repayment of Direct Loans only in response to collection actions by the Department. The Department is interested in comments about its statutory authority to consider defenses to the repayment of Direct Loans in an affirmative posture, and about the risks and benefits of doing so. However, the Department is also considering continuing to accept affirmative claims from borrowers not in a collections action. In either case, the Department would need to implement provisions that would protect institutions and taxpayers against frivolous claims. Our initial review of pending claims suggests that some borrowers may believe that the process allows for a discharge based on a borrower’s dissatisfaction with the education he or she received or the outcomes he or she realized following enrollment, even in the absence of a misrepresentation on the part of the institution. That is not the case. As stated in the Master Promissory Note the borrower signs when initiating their first loan, the borrower is expected to repay the loan even if the borrower fails to complete the program or is dissatisfied with the institution or his or her outcomes. The Department seeks comments from the public regarding what types of provisions or requirements could be used to reduce frivolous claims while still ensuring a borrower a fair and meaningful opportunity to seek relief in the event of fraud. The Department is also proposing to change its approach to a possible group adjudication of borrower defense claims. The 2016 final regulations would enable the Department to initiate affirmative claims on behalf of entire groups of borrowers, if the Secretary determines that there are common facts and claims that apply to the group. However, in this NPRM, the Department is proposing a uniform standard based on a misrepresentation made with knowledge of its false, misleading, or deceptive nature or with a reckless disregard for the truth. As this proposed standard is dependent upon a fact-specific inquiry, the Department does not believe that the group process is appropriate to include in these proposed regulations. Further, a group discharge process could place an extraordinary burden on both the Department and the taxpayer, and the Department has reconsidered whether such a process appropriately balances the need to reduce burden on borrowers and the Department with the obligation to protect taxpayer funds. Because an institution can refuse to provide an official transcript for a borrower whose loan has been forgiven, group discharges could render some borrowers unable to verify their credentials or work in the field for which they trained and have enjoyed employment. Moreover, the Department believes that a review of claims on an individual basis is necessary to ensure that it affords appropriate relief to borrowers who suffered harm from an alleged misrepresentation. Since publication of the 2016 final regulations, the Department has conducted further analyses of the tens of thousands of defense to repayment applications for Corinthian students that the Department has received to date. Those analyses have demonstrated that students enrolled at Corinthian who submitted defense to repayment applications may not all have been harmed to the same extent. An individual process would offer all borrowers fair and equal access to defense to repayment relief. And these proposed regulations would not eliminate the opportunity for Corinthian or other students with loans first disbursed prior to July 1, 2019, to seek debt relief under the 2015 interpretation of the regulation. The Department proposes a new Federal standard to govern claims on loans made after July 1, 2019 based on an alleged misrepresentation. Under that standard, a borrower may assert as a defense to repayment an eligible institution’s misrepresentation—that is, a statement, act, or omission by the school to the borrower that is (i) false, misleading, or deceptive, (ii) made with knowledge of its false, misleading, or deceptive nature or with a reckless disregard for the truth, and (iii) directly and clearly related to the making of a Direct Loan for enrollment at the school or the provision of educational services for which the loan was made. To relate to the “provision of educational services,” a misrepresentation must relate to the borrower’s program of study. Such misrepresentations can relate, for example, to the educational resources provided by the institution that are required by an accreditation agency or a State licensing or authorizing agency for the completion of the student’s educational program. The proposed standard for a borrower defense discharge differs from the standard selected in the 2016 final regulations, which was based on the Department’s authority during enforcement actions. The 2016 final regulations adopted the misrepresentation standard at 34 CFR 668.71, and provided that defenses to repayment may additionally be based upon breaches of contract and certain types of judgments. The proposed standard would not provide for a defense to repayment based on such breaches of contract or other judgments. Instead, such breaches or judgments may be considered as evidence of a misrepresentation, to the extent they bear on an act or omission related to the educational services provided. The Department believes this approach will assist it to quickly and fairly review each and every application and provide equitable relief to borrowers who were harmed. The Department’s proposed standard also does not distinguish between the types of institutions that committed the misrepresentation. Appendix A of the 2016 final regulations, by contrast, took the position that a student who attended a selective, non-profit institution would Start Printed Page 37245not receive debt relief even if the institution committed an act that would otherwise entitle the borrower a defense to repayment because, in the opinion of the Department, the education received was valuable despite the misrepresentation. We cannot adequately support assumptions about the inherent quality of any institution, including a selective non-profit institution. The Department accordingly does not propose to maintain this position. The Department does propose to maintain the standard of evidence or proof required to make a successful claim that was included in the 2016 final regulations—a preponderance of the evidence. The Department believes that this standard will allow claims to be asserted and handled in a manner that is genuinely fair to students, taxpayers, and institutions, especially since a borrower in collections could have left the institution many years prior to making a claim, which would make it exceedingly difficult to meet a higher evidentiary standards. However, if the Department chooses to continue to accept affirmative claims, where barriers to submitting such claims are very low and there are no penalties for a borrower who submits an unjustified claim, the Department believes that a higher evidentiary standard may be appropriate. 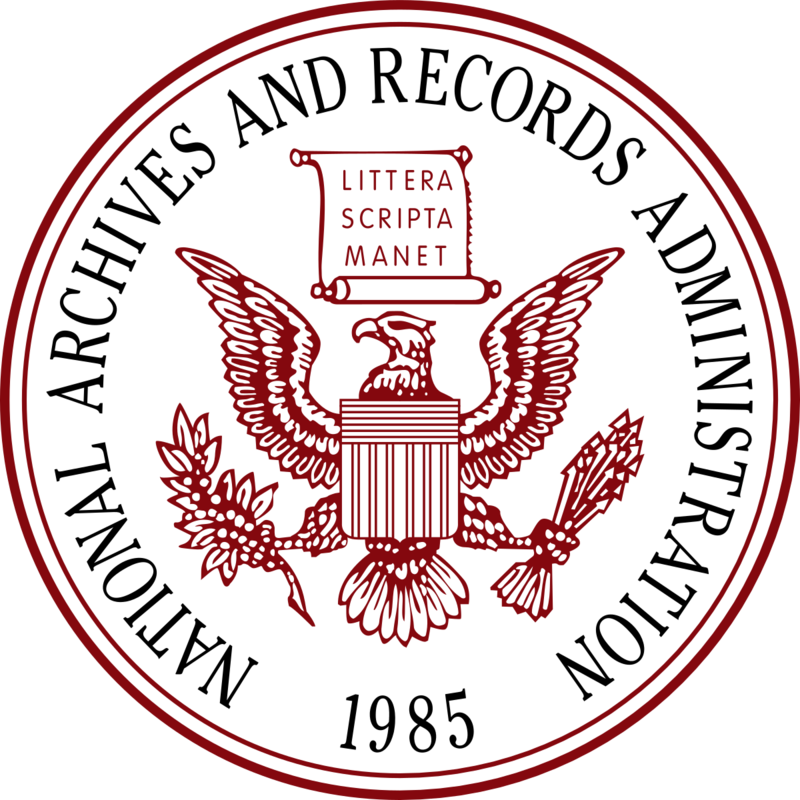 The Department seeks comments from the public about whether or not a clear and convincing evidence standard would be appropriate if the Department chooses to continue to accept affirmative claims and, if so, whether that clear and convincing standard should apply solely to affirmative claims or to both affirmative and defensive claims. Finally, the Department proposes to limit the period of time during which the Secretary may recoup funds discharged under these regulations. Specifically, for loans disbursed on or after July 1, 2019, the Secretary would have five years from the date of the final determination on a borrower’s defense to repayment application to initiate a proceeding to recover from the school the amount of the losses incurred by the Secretary on the discharged loans. In addition to the changes to the borrower defense regulations discussed above, we seek in this NPRM to strengthen the Department’s ability to protect the Federal taxpayer from the consequences of a school’s precipitous closure by amending the Department’s financial responsibility regulations. The proposed regulations identify actions or events that the Secretary may consider in determining whether a school is financially responsible, provide that the Secretary may accept other types of surety or financial protection in lieu of letters of credit, clarify that the Department may impose a limitation on a school by changing a school’s participation status from “fully certified” to “provisionally certified”, and update the Department’s regulations as to initial and final decisions that may be made by a hearing official in a fine, limitation, suspension, or termination proceeding to incorporate the proposed alternate means of financial protection to the Department. These proposed regulations balance the need for consumer protection, regulatory enforcement, and fairness to schools. They seek to hold schools accountable, provide prospective and continuing students with information necessary to make informed choices, and mitigate actions that pose an existential threat to institutions. A school’s precipitous closure—as opposed to a well-planned, accreditor approved teach-out—puts students, borrowers, and taxpayers at unnecessary risk. Further, through these proposed regulations, the Department seeks to encourage schools that are closing to go through an orderly closure, which includes offering appropriate teach-outs to their students. Since 2015, precipitous closures have led to large numbers of defense to repayment and closed school discharge applications. We believe that closing schools should be encouraged to offer accreditor-approved and, if applicable, State authorizer-approved teach-out plans. Such plans allow students the reasonable opportunity to complete their academic programs, either at another location after the school has closed or through an orderly wind-down process before the school officially closes. We also propose changes to the Department’s current false certification regulations. The Department believes that in cases when the borrower is unable to obtain an official transcript or diploma from the high school, postsecondary institutions should be able to rely on an attestation from a borrower that the borrower earned a high school diploma since the Department relies on a similar attestation in processing a student’s Free Application for Federal Student Aid (FAFSA). This policy change provides assurances to students that they will have a reasonable opportunity to pursue postsecondary education when they cannot obtain an official transcript or diploma, and to institutions that they will not face significant liabilities years later if a student’s status cannot be verified. Therefore, we are proposing regulatory language that when a borrower provides an institution an attestation of his or her high school graduation status for purposes of admission to the institution, the borrower may not subsequently qualify for a false certification discharge based on not having a high school diploma. We do not propose to adopt the changes relating to pre-dispute arbitration agreements and class action waivers that are in the 2016 final regulations. In those regulations, the Department took the position that the HEA gives the Department broad authority to impose conditions on schools that wish to participate in a Federal benefit program and that regulation of the use of pre-dispute arbitration agreements and class action waivers was necessary to “protect the interests of the United States and promote the purposes” of the Direct Loan Program under Section 454(a)(6) of the HEA, 20 U.S.C. 1087d(a)(6). We continue to recognize, as explained in the preamble to the 2016 final regulations, that pre-dispute arbitration agreements and class action waivers, in some circumstances, may not be well understood by consumers and may not facilitate the Department’s awareness of potential issues faced by students at a school. However, in re-weighing all applicable factors, including the current legal landscape, we have determined that the Department should take a position more in line with the benefits of arbitration and the strong Federal policy favoring it. Several potential benefits of arbitration are relevant here. Arbitration is often a more efficient and less adversarial means of dispute resolution than time-consuming and expensive litigation that may result in borrowers waiting years to obtain a fair hearing and any relief. Arbitration may also allow borrowers to obtain greater relief than they would in a consumer class action case where attorneys often benefit most. Moreover, arbitration may reduce the expense of litigation that a university would otherwise pass on to students in the form of higher tuition and fees. Arbitration also eases burdens on the overtaxed U.S. court system. For all of these reasons, the Department has decided that the 2016 final regulations’ provisions on class action waivers and pre-dispute arbitration should not be included in these proposed regulations. As stated above, we believe that borrower defense to repayment should be a last resort for borrowers. Arbitration is one means of dispute resolution through which borrowers may be able to obtain relief without filing a defense to repayment Start Printed Page 37246with the Department. The Department does not propose to prevent that means. But because pre-dispute arbitration agreements or class-action waivers may limit the availability of certain alternative means of dispute resolution, we propose changes that would provide borrowers with a better understanding of the dispute resolution processes available to them when they enroll at a school. The proposed regulations also update the appendices to subpart L of 34 CFR part 668 to account for changes in accounting standards and terminology.